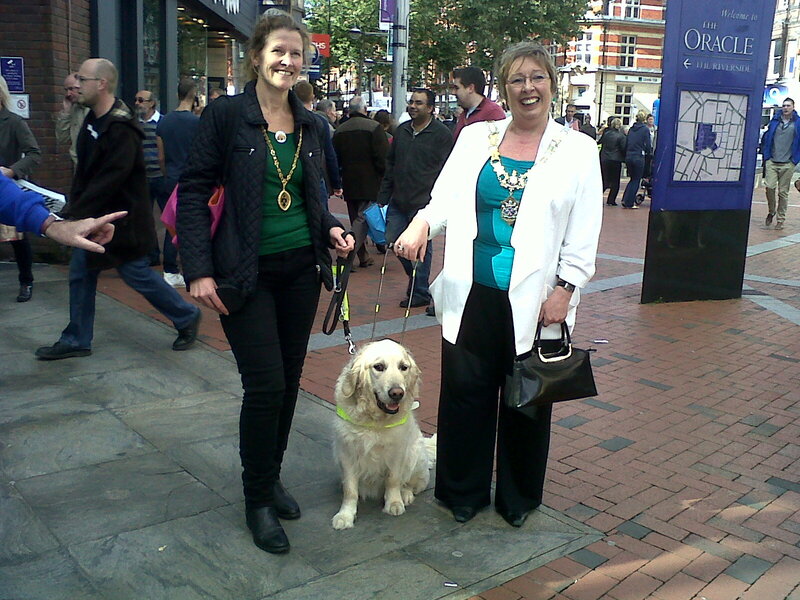 At lunchtime I accompanied The Mayor of Reading, Cllr Jenny Rynn, to Broad Street where we met lots of people working & volunteering for Guide Dogs for the Blind. 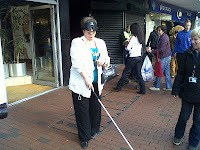 Jenny & I were keen to be blind folded to experience what it is like to be blind or partially sighted. 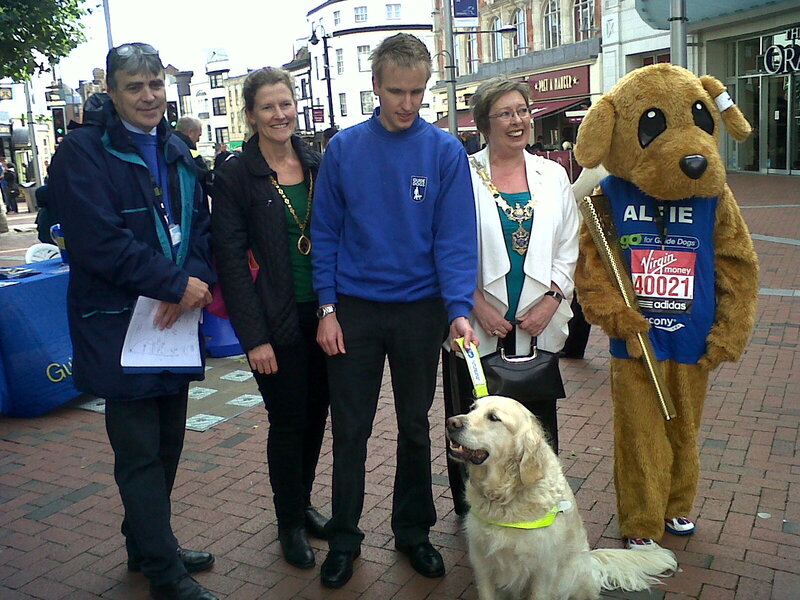 It was also good to help support the charity's awareness day by highlighting the difficulties visually impaired people face walking in a busy shopping area. John Mudd from the charity was very happy to answer all our questions. He introduced us to several volunteers who enabled us to try being guided by a person, then using a white stick and finally being guided by a dog. Being guided by a person was fine as I simply trusted my helper to keep me safe. However using the white stick was daunting. Even though I only walked a short distance, I suddenly became very conscious of all the noises around me and felt extremely vulnerable. I was anxious not to be tripped up by one of the many A-frame signs that litter the pavement. Best of all - Jenny agreed - was being guided by Atkins a 5 year old dog who has a lovely friendly temperament. As he walked his wagging tail gently swished against my leg which I found very reassuring. His fluid forward motion made me feel reasonably confident to follow beside him. 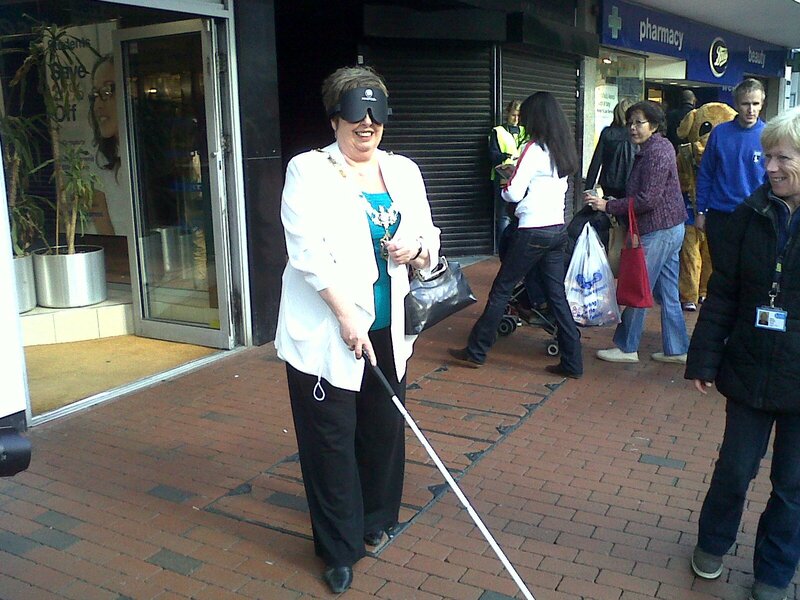 For me the experience of walking blindfolded really brought home the isolation, disorientation and vulnerability visually impaired people battle against. This is an issue close to my heart as my paternal grandmother was almost blind. 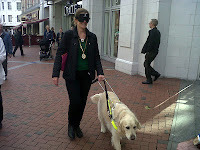 She never wanted to use a stick or have a guide dog, I think because of embarrassment over her disability. She relied on my grandfather and other family members to guide or drive her about and I fondly remember guiding her. John Mudd emphasised the importance of early intervention to help individuals come to terms with sight loss. Currently Reading does fund this mandatory work, however I believe Slough has cut the funding so it is crucial to ensure Reading doesn't follow suit. Cutting funding for early intervention work is literally short-sighted. 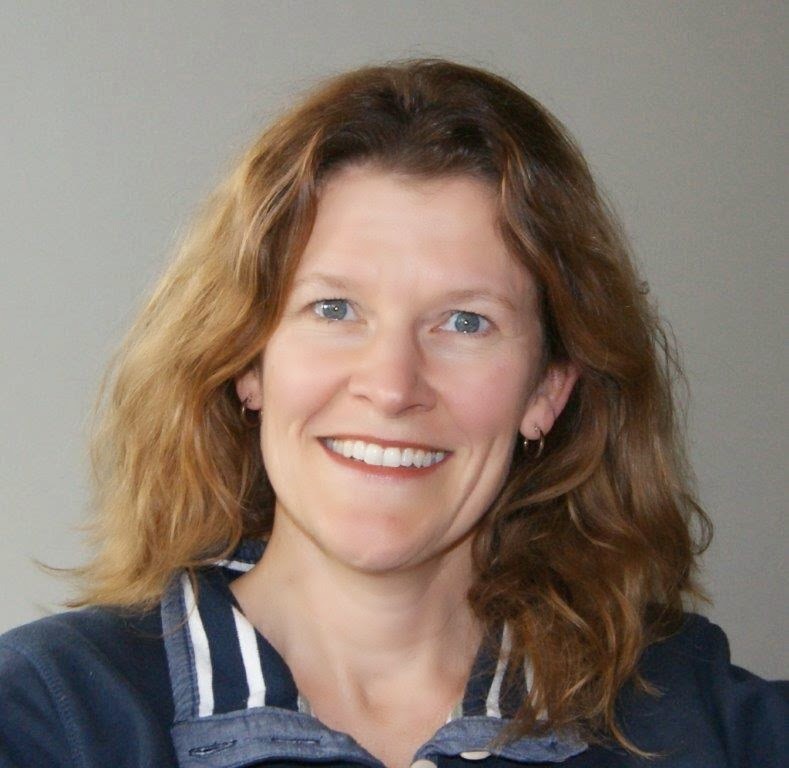 Helping an individual adjust and cope with ordinary day-to-day life things like getting dressed, cooking safely, getting out of the house to shop or taking exercise is invaluable work. 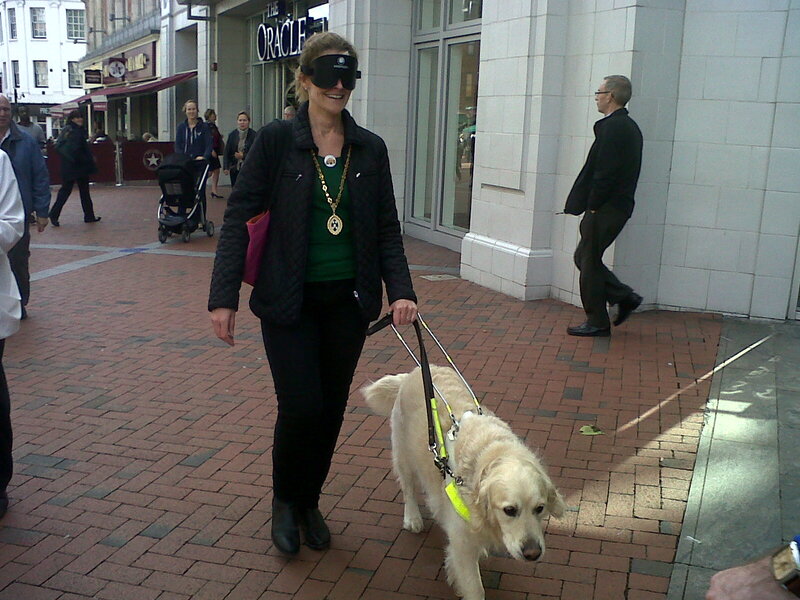 It can transform a blind person's quality of life, giving them the confidence to have a job and a family. We both signed the petition for the removal of VAT on dog food for Guide Dogs, with a potential saving of £300,000 to the Charity. As well as being alert to the necessity of ensuring the future funding of the early intervention work, both Jenny and I will highlight to the Council the danger posed by unnecessary street furniture like advertising boards and ask for this to be reviewed. 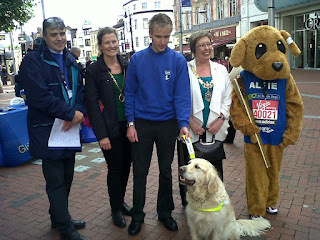 It is well worth having a look at http://www.guidedogs.org.uk/ for more information about the wonderful work the organisation does. ﻿﻿Do consider making a donation while you're there!